Ann Vessels is the Director of the Veterans Advocacy Project, a project she created and has supported since its inception in 2015. Ann joined the Denver Law faculty in 2006 after practicing law for 25 years in the public, private and social sectors. In addition to being a partner in the law firm of Rothgerber Johnson & Lyons LLP (now Lewis Roca Rothgerber Christie LLP) where she practiced commercial litigation, and employment law. Vessels also served as the General Counsel and Senior Vice President of Human Resources for Junior Achievement, a global Non-Profit Organization that strives to educate and inspire young people to succeed in a global economy. With a passion for leadership, Vessels was the President of the Colorado Leadership Alliance, an alliance of academic leadership programs for outstanding undergraduate students at colleges and universities across Colorado. At Denver Law, Vessels led the Legal Externship Program for ten years and in 2014 created the Veterans Advocacy Project. Michael Shea received his BS in Business Administration from Pepperdine University and his MBA and JD from the University of Denver. Mike has been a Colorado lawyer for more than 36 years. Mike is a retired CW5 Army aviator who spent more than 20 years with the Colorado Army National Guard. He served eight years in the U.S. Marine Corps and did a tour of duty as a helicopter pilot in Vietnam. 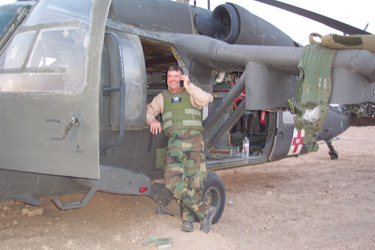 He served a tour of duty in Bosnia and two tours of duty in Iraq as a Blackhawk Medevac pilot. He retired from the U.S. military in 2009 after 28 years of service. Mike joined the Colorado Secretary of State’s office in 1988 and spent the next 22 years, under six secretaries of state, as director of the business division, executive director of the Colorado Central Indexing system, and director of the licensing and enforcement division. During that time, Mike served on committees of the Colorado Bar Association responsible for passing legislation that revised the Colorado Corporation Code and the Colorado Non-Profit Corporation Act, created the Colorado Limited Liability Company Act, created the Central Indexing System, and revised Colorado’s version of the Uniform Commercial Code. 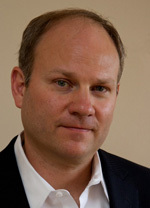 Mike served as vice-chair and then chair of the Alternative Dispute Resolution section of the Colorado Bar. Timothy R. Franklin earned his J.D. at the University of Denver, Sturm School of Law and a B.A. in Political Science from the University of Colorado at Denver. After graduating law school in 2008, Tim immediately began working on appeals at the Court of Appeals for Veterans Claims and successfully argued numerous cases on behalf of disabled veterans. Tim is also experienced in bankruptcy and commercial litigation, but could not resist the draw of helping veterans and now focuses on CAVC, Board of Veterans Appeals and VA Regional Office appeals. In addition to private practice, Tim is also an adjunct professor of veteran’s benefits law at the University of Denver’s Sturm School of Law, where he teaches and helps guide Denver Law’s Veterans Advocacy Project. Tim is the current treasurer of the Colorado Bar Association’s Colorado Lawyers for Colorado Veterans, and a board member of the CAVC Bar Association. Tim presents to bar associations and veterans’ groups regularly and is a two-time recipient of 5280 Magazine’s “Top Lawyers” in the area of veteran’s law. For further information please contact us at 303-660-6421.